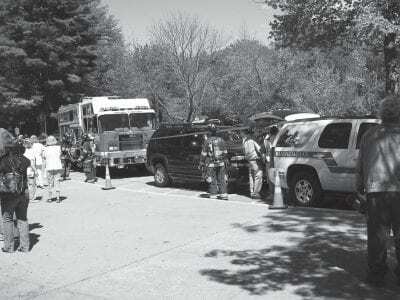 Students and staff leave the Mahopac Middle School on Baldwin Place Road last week as emergency services providers stand by following a mercury spill. First it was diesel fumes; next came mold; and now mercury has disrupted classes at the Mahopac Mi… Please login below or purchase a subscription to the Putnam County Courier to access this content. The women behind the program include hospital staff and members of the Mothers Club. Those pictured include: Lori Levy, Corrine DiVestea, Mary Ellen Colontonio, Jamie Imperati, Michelle Piazza, Allison Stowell, Margaret Rizzuto, and Kristin Muscarell… Please login below or purchase a subscription to the Putnam County Courier to access this content. Daniel Rubin, 2 and his big brother, Josh, who is four, plan on attending the celebration Saturday. The brothers reside in Carmel. 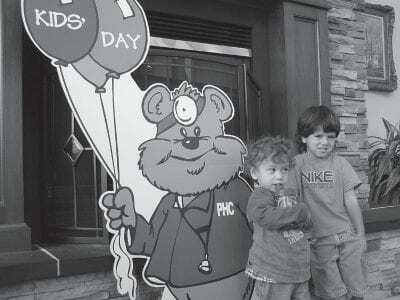 Putnam Hospital Center will be turned into a carnival-like setting on Saturday when the PHC Auxiliary hosts the annual… Please login below or purchase a subscription to the Putnam County Courier to access this content. We’ve all heard of horse racing, auto racing, and even dog racing, but duck racing? Members of the Lake Mahopac Rotary are taking the sport to the next level by sponsoring the region’s first duck race Sunday at the Red Mills Historic … Please login below or purchase a subscription to the Putnam County Courier to access this content. Live theater came to the John F. Kennedy Elementary School in Brewster when the Emmy award-winning national touring show, Food-Play, paid Putnam County a visit. Food-Play helps boys and girls take charge of growing up healthy and fit. Addressing … Please login below or purchase a subscription to the Putnam County Courier to access this content. The Brewster Education Foundation has issued a call for help. The foundation’s Board of Directors currently has openings for those desiring to make a difference by serving on the BEF’s missions of philanthropy and education. Foundatio… Please login below or purchase a subscription to the Putnam County Courier to access this content. 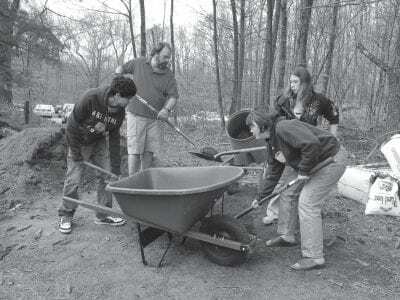 North Salem teacher Scott Lenhart is helped by sophomores Greg Milano and Kristin Goff and senior Brianna Lowrie in mixing topsoil with peat moss for the schools’ new raised flowerbeds. The flowers are blooming at the North Salem High School-M… Please login below or purchase a subscription to the Putnam County Courier to access this content. At Garden Street School librarian Marian Rose meets with a group of boys and girls to talk about Abe Lincoln. 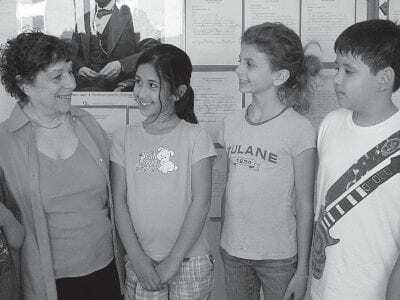 The children include Gian Cercena, Celina Lozovilcas, Cristian Morales, Katherine Cueva, and Florence Cuomo. Children attending classes at … Please login below or purchase a subscription to the Putnam County Courier to access this content.